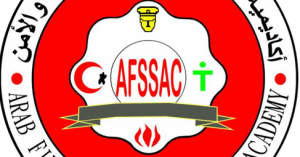 Arab Fire, Safety and Security Academy offers Refresher course for a safety team member that is a developmental program . 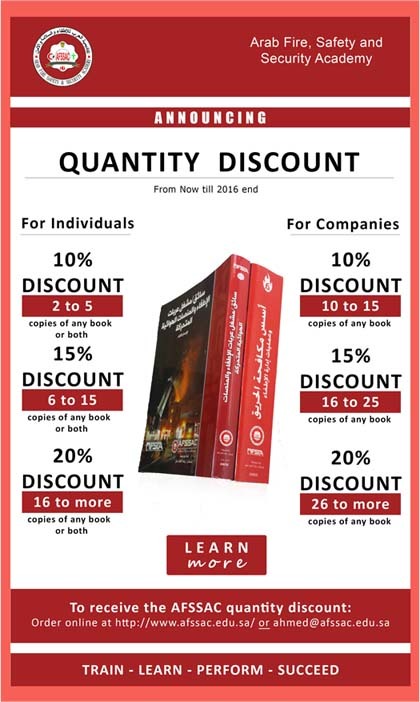 All who wants to achieve fire safety in factories, companies and industrial, commercial and service facilities. Developing the skills of fire safety teams in facilities to protect them from fire accidents. Identifying fire risks of and types. Identifying basic principles of fire causes prevention. Identifying types of fire extinguishers, how to choose, operate and use safely. Operating fire systems and informing the civil defense teams. Identifying the emergency exits and contribute in the evacuation. Types of manual fire extinguishers. Fire hoses and their equipment. Inspecting emergency lanes, exits and doors. A general idea about the fire detection and alarm devices. Operation procedures for alarm systems and informing the civil defense teams. Educational level: General secondary Certificate (scientific section) and its equivalent. Basic Requirements: obtaining the training courses for safety team member according to the approved list. * Duration of the program: three days – 15 training session (40% theoretical 60% practical). – Each trainee passes the course, gets a certificate from the Arab Fire, Safety and Security Academy, locally approved by the Technical and Vocational Training Corporation.